Following speculation that the NSA collected user data through Angry Birds, Rovio stated its fans' trust is most important. Yesterday ProPublica, with the New York Times and The Guardian, reported spy agencies such as the NSA and Britain's GCHQ seize data upon start-up of many game applications like Angry Birds. 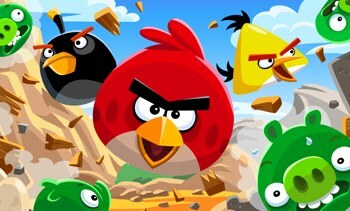 Rovio denied spy agencies have collecting data from its apps. Rovio issued a press statement today, stating it "does not share data, collaborate or collude with any government spy agencies such as NSA or GCHQ anywhere in the world." Rovio noted "the alleged surveillance may be conducted through third party advertising networks." The company added it does not allow third party networks to use or hand over personal user data from Rovio's apps. The NSA and GCHQ collect information from Google Maps frequently, but a report also revealed it collects data from Rovio's Angry Birds. A 2012 British report included the code needed for accessing data from profiles generated when Android users play Angry Birds. Rovio has stated it may collect user data, but it abides by "some restrictions," such as not knowingly collecting information about users under 13 years old. "Our fans' trust is the most important thing for us and we take privacy extremely seriously," Rovio CEO Mikael Hed said. "As the alleged surveillance might be happening through third party advertising networks, the most important conversation to be had is how to ensure user privacy is protected while preventing the negative impact on the whole advertising industry and the countless mobile apps that rely on ad networks. In order to protect our end users, we will, like all other companies using third party advertising networks, have to reevaluate working with these networks if they are being used for spying purposes."